An Introduction to Drum Machines Ultrabeat in a powerful drum design/machine plugin built into Logic Pro X, which combines both sampling and synthesis to produce a wide scope for sound creation. In this series of lessons, you will be introduced to every aspect of this amazing tool. 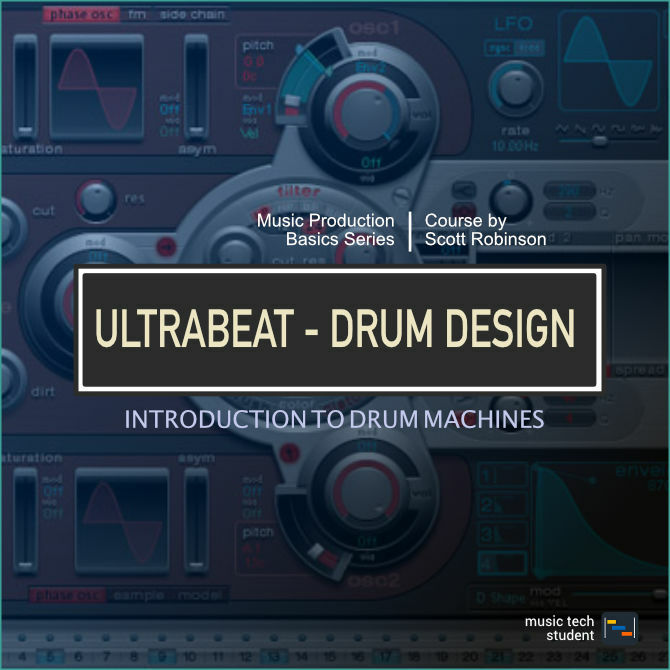 Ultrabeat is the original drum machine provided within Logic Pro, With a simple interface layout, it is easy to navigate once understood. Throughout these tutorials, we will guide you through the layout and show you how to make the most out of this powerful drum design tool. This will all be achieved with activities and tasks for you to complete as we move through the series.